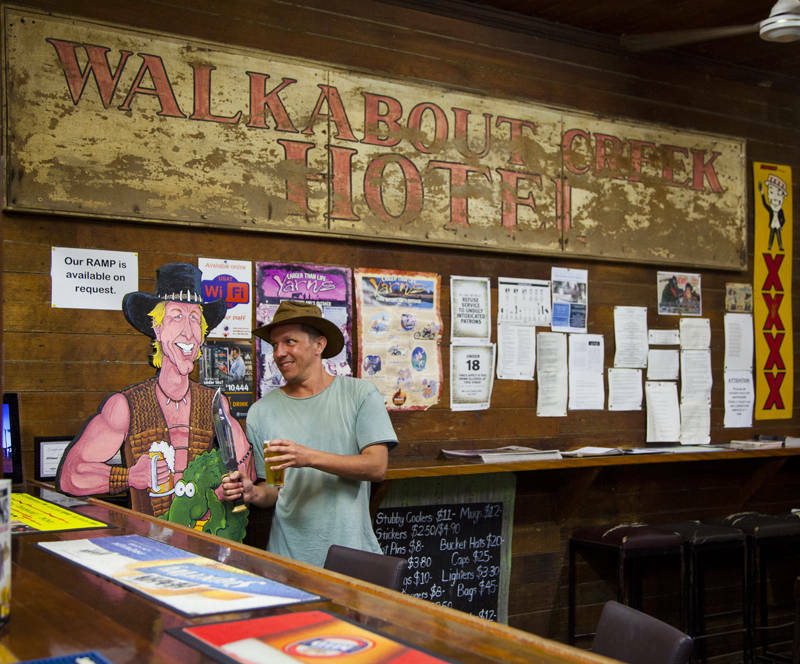 This is the Walkabout Creek Hotel in McKinlay, Queensland. It was made famous by the iconic Australian film Crocodile Dundee in 1986. The pub is decorated with props and photos of the cast and crew. If you are lucky the friendly bar staff will hand you a 16″ Bowie Knife to pose with. It shows a remarkable level of trust to give a lethal weapon to people who have had a few drinks. The atmosphere is warm and welcoming. Like many outback pubs, the population of the bar often exceeds that of the town. Since recently acquiring phone coverage the landlady has introduced a no mobiles at the bar policy which guarantees you get a good old fashioned chin-wag with everyone. The day and night temperatures have been increasing over spring and inside my van it exceeds 50°C when on the road. I plan to leave the tropics in a few days and look forward to some cool mountain air once I reach the Great Dividing Range. You certainly look as though you’ve got the bronzed Oz look in this one. That’s my light side. I’ve got a truckers right arm from driving west with an open window.